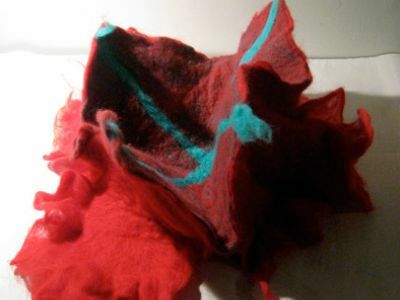 Fortune Teller is a little experiment in old childhood play and origami-inspired forms for a felted controller designed to work with arduino and max/msp. There are four quadrants to the device, which move together and apart as a set of two halves, moving front to back and then side to side. 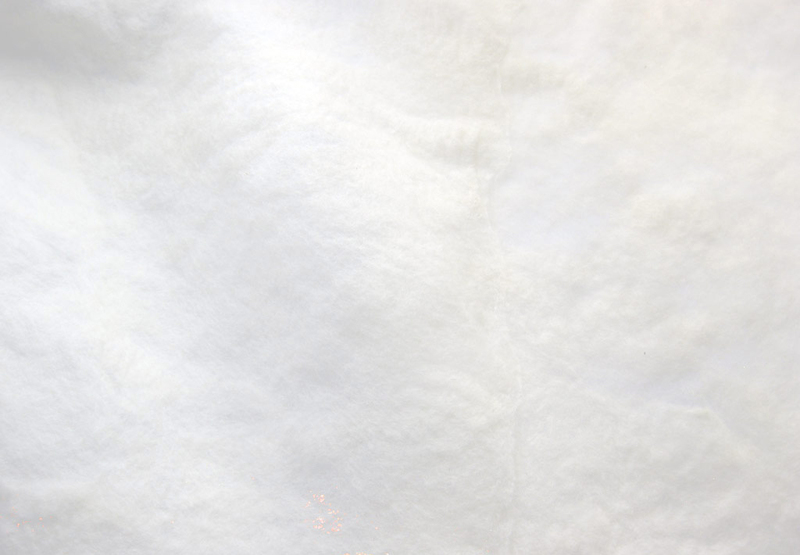 As you open and close the controller along these two axis, the resistance sweeps over a range of values; this change in resistance across the felt is correlated to a change in parameter values in my max patch, which is communicated via Arduino over the serial port. 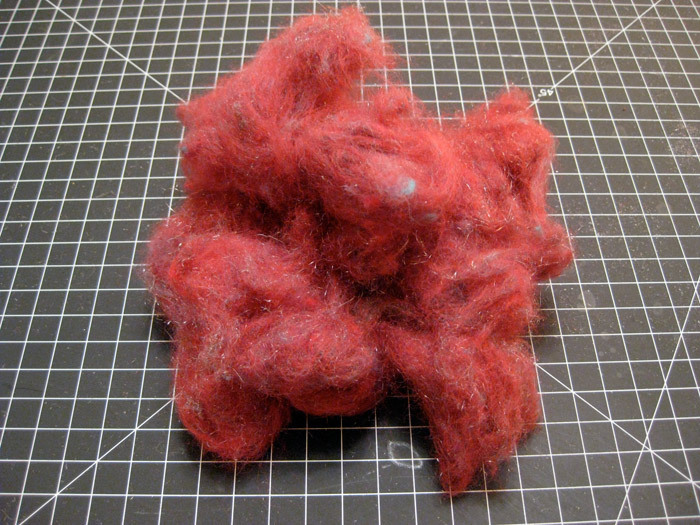 Sheep’s wool and steel wool before being carded together to make the conductive raw material to be felted. 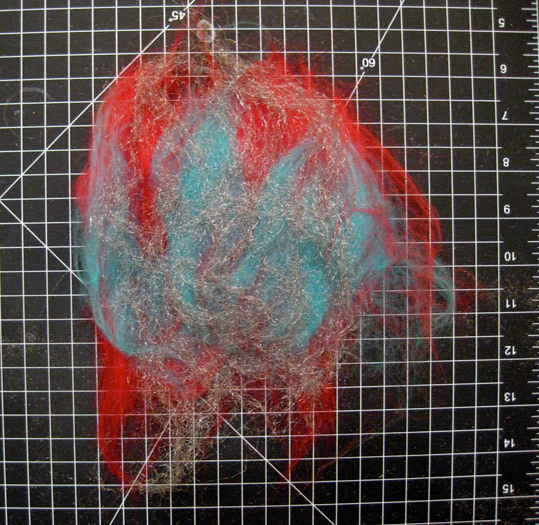 Ball of conductive wool, blended from sheep’s wool and steel wool after carding. 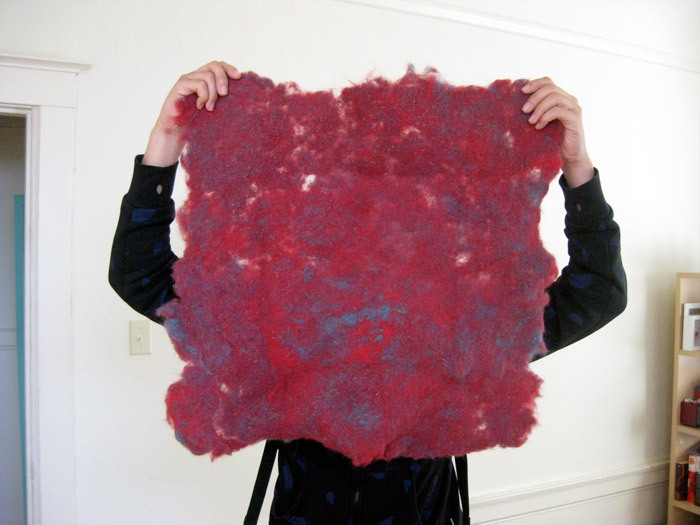 Sheet of conductive felt, from dry-felting. 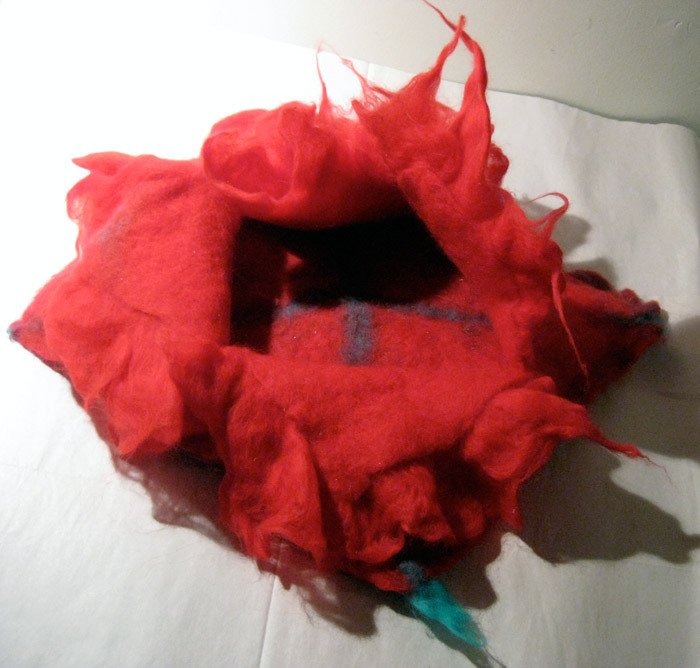 Top view of the Fortune Teller piece. Folded views of Fortune Teller. Underneath view of the Fortune Teller piece.